It was just last week that Sky announced the some of its channels will be available on the Xbox 360, but the move has prompted talk of other content providers joining in. The latest is Hulu. The US video-streaming website owned by some of the biggest broadcasters in America – NBC Universal, Fox and Disney – is rumoured to be heading to the Xbox after US presenter Olivia Munn put on her Twitter account this following revealing tweet: "Just finished promos for hulu/microsoft event I'm doing on june 8!" With this, the internet was ablaze with much rumour and speculation about whether the US was going to get its version of the Sky deal on the Xbox 360. Turns out, however, all that was revealed within Munn's tweet was her lack of technology nous. She was actually referring to a Microsoft/Bing event happening 8 June to celebrate the arrival of the search engine. The event is going to be called 'Bingathon' and will celebrate all things Bing. What Munn did announce was that the all-day event would be transmitted on Hulu. 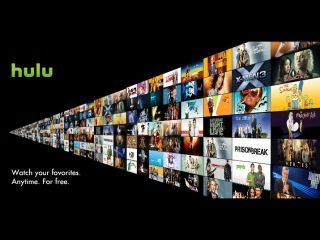 This isn't the first time that Hulu has been mooted for the Xbox 360 and the Playstation 3. And it does point to a lack of TV streaming on the console in the US. If Hulu does become available for the console then it will be interesting to see if a UK version will happen – given that the service should be available in Blighty before the year is up.